ATF currently has 19 explosives enforcement officers stationed throughout the country. Many EEOs previously served as explosive ordnance disposal technicians in the U.S. military. The goal of the EEO program is to support ATF work in enforcing federal explosives laws and protecting the public from the criminal misuse of explosives. The Bureau of Alcohol, Tobacco, Firearms and Explosives’ (ATF) explosives enforcement officers (EEO) have unique technical capabilities in explosives and bomb disposal. They render bombs and other destructive devices safe; conduct advanced disassembly procedures in order to preserve and exploit evidence; provide explosive device determinations for criminal prosecutions; and assist with explosives research, development, testing and evaluation. Responding to and assisting with investigations of bombings or attempted bombings within ATF jurisdiction. Conducting render safe and advanced disassembly procedures of bombs and destructive devices, and rendering destructive device determinations. Assisting with the investigation of explosions and accidents involving explosives operations. 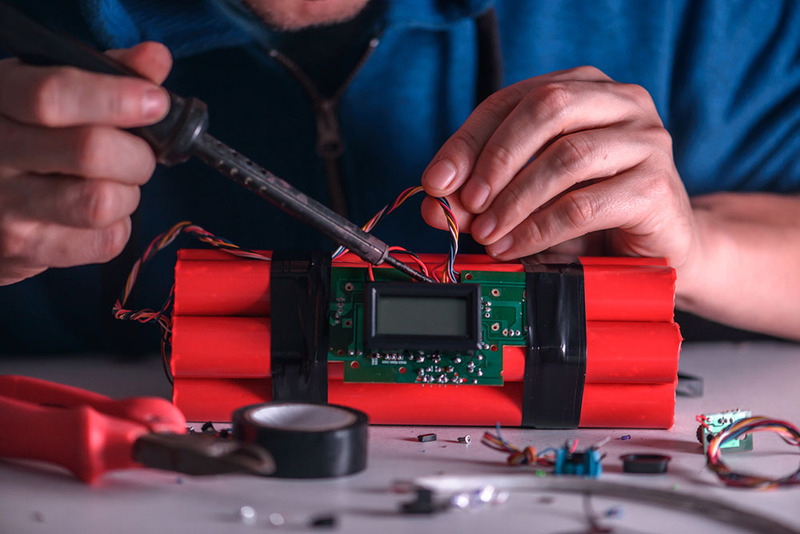 Providing explosives training to other local, state and federal law enforcement agencies in their area of expertise and other related aspects of explosive handling and destruction. Following Criminal Investigator Training Program, EEOs are required to take the following courses: Post-Blast Investigation Techniques, Chemistry of Pyrotechnics, Advanced Explosives Disposal Techniques, Advanced Explosives Investigation Training, Advanced Improvised Explosive Device Disablement (AIEDD) at the Naval School Explosive Ordnance Disposal (NAVSCOLEOD) and other internationally available courses. They also attend the Hazardous Devices School at Redstone Arsenal in Huntsville, Ala.
EEOs are ATF certified explosives specialists who assist ATF special agents and state, local, and other federal law enforcement agencies in explosive-related investigations and provide expert courtroom testimony in support of these investigations. They are the primary technical advisors and support within ATF on matters involving destructive devices. Most EEOs previously served as explosive ordnance disposal (EOD) technicians in the U.S. military, where they received extensive specialized explosives and bomb disposal training. On average, EEOs have16 years of experience in the bomb disposal field prior to their employment by ATF. The agency currently has 19 EEOs stationed throughout the country.